Demonstrates process of energy conversion. 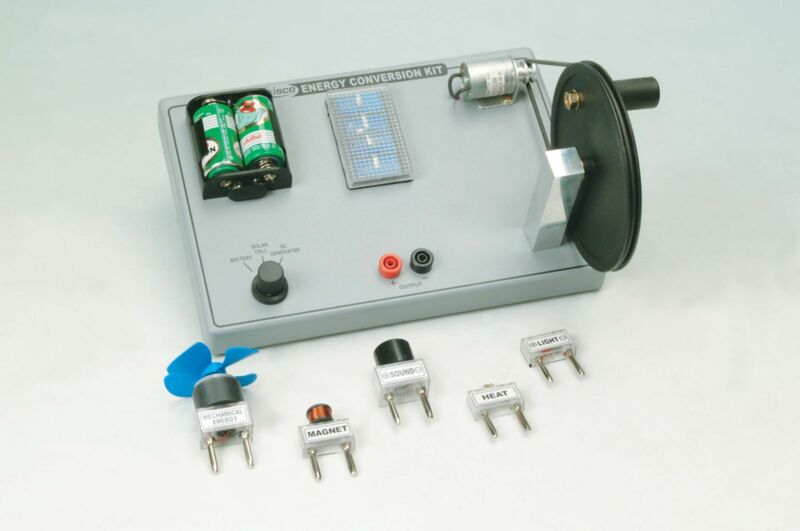 This kit wonderfully demonstrates the process of energy conversion between many different forms of energy. Ideal for classroom demonstrations as well as a hands on learning tool. Mounted to a solid plastic board are three different sources for the generation of energy: hand crank (mechanical), cell battery holder (electrical), and a solar cell (light). Five circuit elements can each be inserted into the board to observe the use of the generated electrical energy: motor with fan (mechanical), buzzer (sound), LED (light), resistor (heat), and an electromagnet (magnetism). Uses 2 'C' batteries (not included). Ordering information: Uses 2 'C' batteries (not included).